A Canadian software company is making it easy for the geospatial community (and beyond) to work with, exchange, and extract value from data. Many GIS professionals—and others in the geospatial community and beyond—use Safe Software’s FME daily to convert, extract, and analyze data. Yet, few of them know much, if anything, about the Canadian company that created the program and constantly updates it. Co-founded and co-led by computer scientists Don Murray and Dale Lutz, the company has grown over the past 25 years from that dynamic duo to a staff of about 150 people, mostly young, who speak 15 languages total. Murray and Lutz earned their bachelor’s and master’s degrees in computer science. They met when they both worked on a project to build a big data analytical engine at MacDonald, Dettwiler and Associates (MDA), a Canadian company that makes space, defense, and maritime systems. Murray then left MDA to teach at the British Columbia Institute of Technology, but he and Lutz kept in touch. Eventually, they bid together on a government contract. “Safe was born with the successful bid of this contract,” Murray recalls. In the early 1990s in British Columbia, a province as large as Texas and Oregon combined, The Canadian government was trying to keep track of logging by private companies and needed to exchange information with them. However, those companies used different software packages, and the government did not want to mandate that they all use software from the same vendor. Instead, it was going to invent its own format and then have translators written from it to the commercial packages in use. Murray and Lutz won the contract related to the early work on that project. Safe Software staff at an FME users conference. The company’s early market was moving data from CAD to GIS, Lutz recalls, because in British Columbia a lot of the mapping was being done with CAD packages. The company has penetrated many markets, according to Murray. Currently, its biggest sector is national, state, and local government and the next biggest is utilities, such as oil and gas companies and telecommunication companies. Safe’s biggest competitors, Lutz argues, are programmers who want to write code from scratch within their companies due to a “not invented here” syndrome. The company, he says, has about 80 business partners around the world, including con terra in Germany, Sweco in Sweden, 1Spatial, and Miso. He acknowledges that this involves a few challenges. The first one is to understand at the syntactic level about 400 different systems so as to make it easy for users who are not computer scientists to connect to that data and read it. The second challenge is to build transformers that enable users to use that data—such as raster or point clouds—to solve their specific problems. In the future, Murray predicts, the company will develop video processing transformers. According to Lutz, augmented reality and virtual reality are not a big step from indoor mapping. One way it is doing this is via what it calls FME Hub, which enables partners and users to contribute to solutions to access these data. Staff enjoy a relaxed work atmosphere. Between a third and a half of the staff have a technical background, including programmers and experts in GIS and, more generally, data exchange and software configuration. Another large group works on marketing. When he and Lutz started Safe, Murray explains, it was technology-heavy. “In the early days, that was fine, because a large part was just building up our vision.” Later, they added staff to handle accounting, marketing, business, and relations with partners. Lutz describes the company as “relatively non-hierarchical” and his partnership with Murray as “tight.” Under them is a large layer of senior people whom they drafted. The technical side, which handles development, is divided into the cloud, server, and desktop/engine teams. 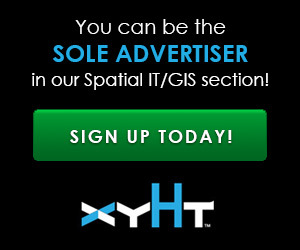 The Experts team, consisting of subject matter experts in GIS and other areas, is sub-divided by vertical. The marketing group is sub-divided into operations and those who create the company’s public personas. Other groups include customer engagement, finance, facilities, development operations, events (which is large), and direct sales (which consists of only half a dozen people). One may wonder what Murray and Lutz would do if they were ever unable to resolve a fundamental disagreement. Toss a coin? “We always try to see each other’s viewpoint,” says Murray. Like in any kind of relationship, he explains, they do not agree on 100% of things.